Seven items excerpted from the multi-media piece for solo piano. 1. “La Chasse” (Hunting), 2. “Le Réveil de la Mariée” (The Awakening of the Bride), 3. “La Comédie Italienne” (Commedia dell’ Arte), 4. Le Pique-nique (Picnic), 5. “Le Bain de Mer” (Sea Bathing), 6. “Le Water-chute” (The Water-slide), for tenor or soprano switching to alto, and 7. 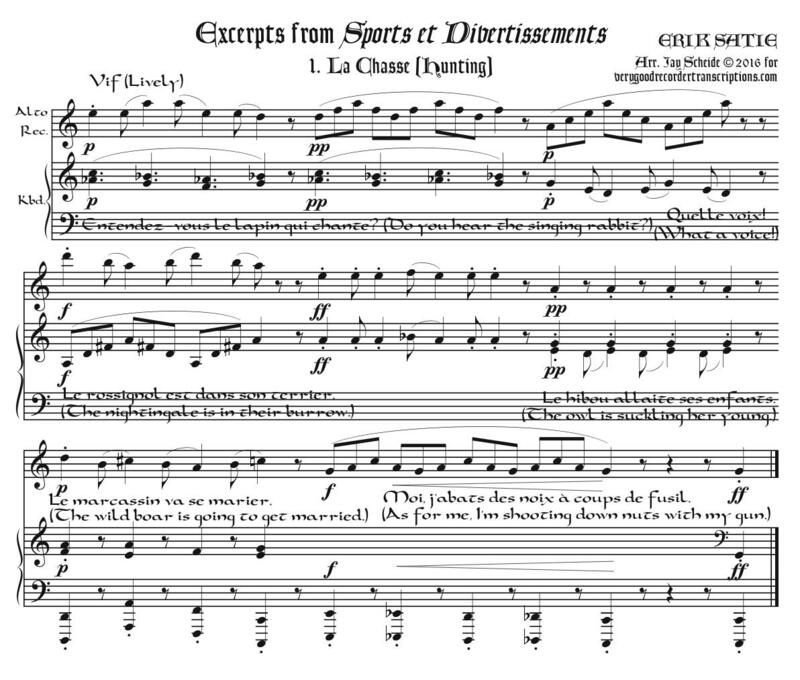 “Les Courses” (Racing) for tenor or soprano. There is only a full score provided, which must be printed twice, since the recorder player must follow the keyboard player and have their own copy of the score. Revised Oct. 5, 2018.